I'm going to re-install my windchill because my case was open for a month now. 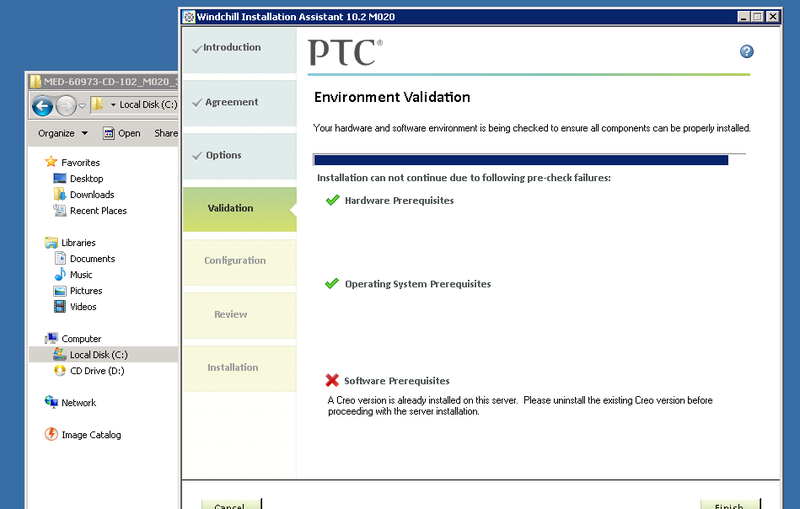 PTC support doesnt know how to solve my problem and suggest me to re-install windchill. Now I'm done Uninstalling and removing all related information/software that may conflict to install windchill. But when I'm going to install it I didn't pass the validation. I dont have any creo install, on my machine right now but I still get this in validation of winchill. How to completey remove creo in my machine? I already search creo in my registry but there is no creo. Hope you can help me with this. Did you use regedit and clean out the registry for any traces of Windchill files? 3) Open Regedit32 and then go to edit and find. search for Creo, and remove all references to it.